An affordable home. The design creates a clean and modern living space that is comfortable without air conditioning - the focus being on shading and ventilation. 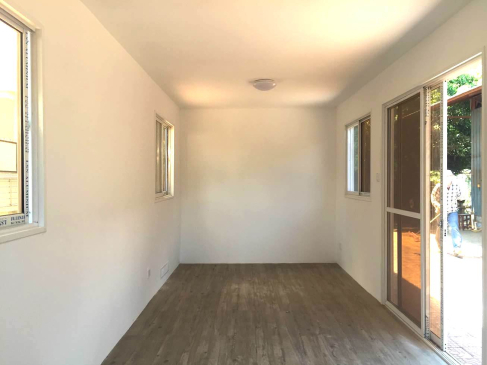 The unit has a zinc roof, exterior cladding, interior lining, vinyl flooring, interior and exterior lighting, power outlets, and sliding glass windows and doors. 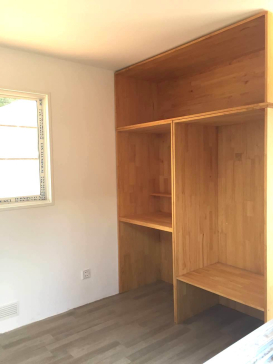 Two wooden wardrobe and writing desk units are included which can be used to separate the two bedrooms. 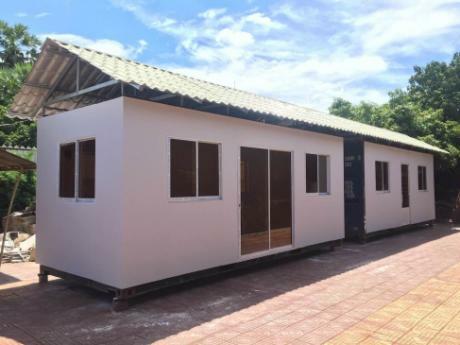 The unit is suitable as a permanent home, temporary accommodation, or office. 32 sqm covered area. Ready to transport to your location.